"Still working on mirroring. No touch input yet. I have a mirroring concept working but it requires the parking brake bypass. Trying to get around that." 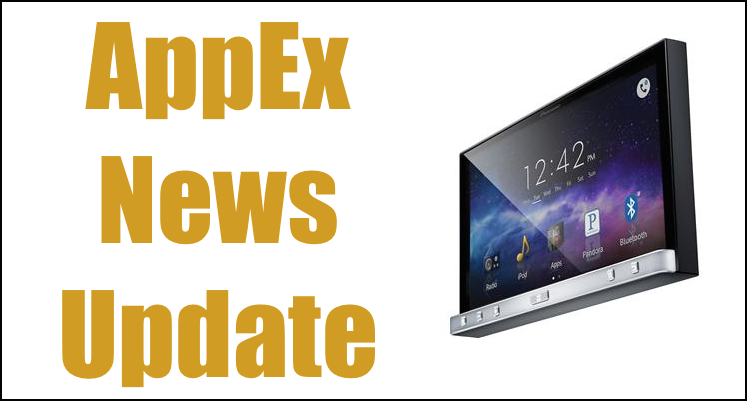 Stay tuned for more AppEx news updates. AppRadio Extensions (AppEx) is an iOS jailbreak tweak for AppRadio devices. The current version is not compatible with iOS 7. With AppEx, users can improve the AppRadio experience by getting rid of pop-up warning messages for example, but more importantly, gives users full touch control of their iPhone from the AppRadio screen. AppEx is developed by Mike DeCaro and hosted on GitHub.